Apart from their class teachers, parents and carers are the people with whom many young people spend most of their time each week. While we must acknowledge that a child’s peer group may eventually become the key influence in how they dress, speak, and the activities they pursue, it is the adults in a young person’s life who model how they should expect to be in adulthood. We may not be ‘cool’, but we do provide them with a reference point for ‘how adults are’. If we present as often distracted, flustered, or possessed of a ‘short fuse’, then that is what will be deemed by a young person as something that automatically comes with adulthood – something that’s ‘OK’, and to be expected. If you think that parents and carers of the students at your school might be interested in learning more about mindfulness and trying it for themselves, why not suggest they try .begin for parents & carers? While .begin for parents will not render them a parenting supremo (any more than they are already), it may bring a different quality to the time they spend with the young people in their care. 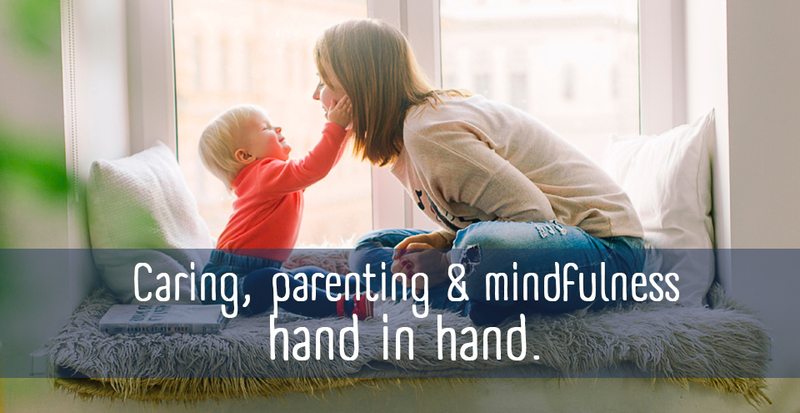 Parents who have previously attended mindfulness sessions describe how they noticed a little less reactivity in themselves, making disagreements less likely to escalate; a little more presence in conversations, and real listening to their children when comparing the day’s events; or simply a sense of the young person in their life not being just another thing that gets in the way of your ‘me’ time, but instead a sense of ‘me’ time sometimes including that young person. Find out more about our .begin for Parents & Carers course here.